My lovely husband was in France recently and, as usual when he is away in another country, had a look for books I might like. I have to say, he’s getting rather good at choosing good ones that I’ll like! Aujourd’hui, à l’école, il y a un nouveau. Il s’appelle Sam. 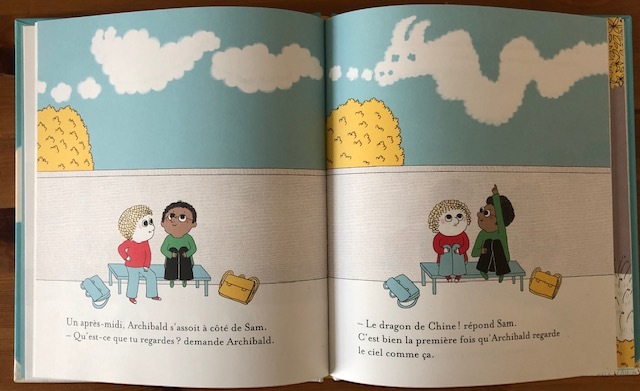 It’s a lovely story about Archibald getting to know Sam and discovering that being different isn’t a bad thing. He learns how to view the world from someone else’s perspective, seeing dragons in the clouds and a cyclone in his spinning top. When Sam doesn’t come to school the next day, Archibald misses him but his view has changed. Will Sam come back? Has he been changed too by his new friend? I’ll let you find out. 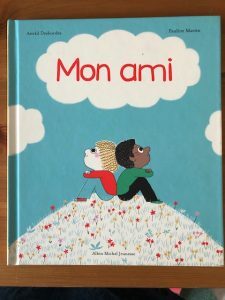 I really enjoyed Mon ami. 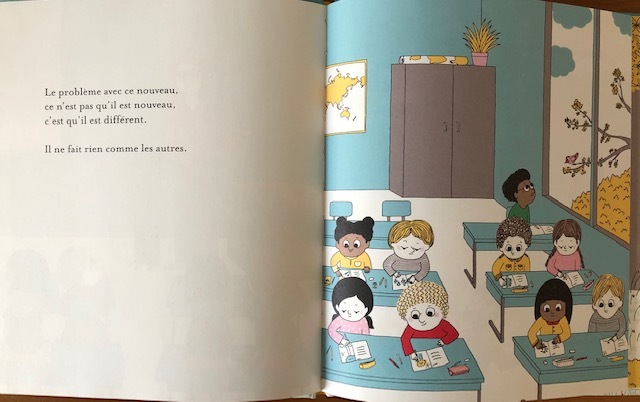 It works as a story but also as a text that could be used for PSHE to promote discussion of everyone’s right to be themselves, and the joy of us all being different.